Mrs. Joyce Butler Blake, age 84, passed away Tuesday, October 16, 2018 at Moses H. Cone Memorial Hospital. A funeral service will be 2:00 pm Saturday, October 20, 2018 at Shining Light Baptist Church. Burial will be 3:30 pm Saturday at Lakeview Memorial Park. Joyce is a long-time member of Shining Light Baptist Church where she once served as organist. 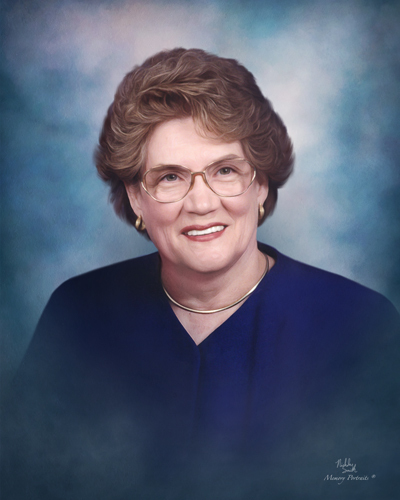 She spent her entire working career with Sears, Roebuck and Company retiring as a division manager. Joyce is preceded in death by her parents, Lee Roy and Louise Butler, her beloved husband, Samuel Vergil Blake and her sister, Betty Sue Ballinger. She is survived by her daughters, Donna Carol Blake of Greensboro and Kathy Blake Roberts (Bartley) of Colfax; sister, Janice Thompson (Max) of Auburndale, FL; brother, Ken Butler of McLeansville; grandchildren, Joyce Michelle, Michael Thomas, and Samuel Jason; great-grandchildren, Haylee, Daniel, Katherine, Sammy, Lily, Zelda, Emily, Vinny, Carmen, and Elyse. Also surviving is her Boston Terrier companion “Sadie Mae”. The family will receive friends from 1-2 Saturday at the church prior to the service. Memorial contributions may be directed to Shining Light Baptist Church 4530 W. Wendover Ave. Greensboro, NC 27409.